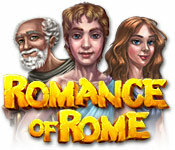 Romance of Rome gives you a chance to visit the legendary Roman Empire! Love, treachery, adventure, and jeopardy await you in this amazing Hidden Object game. Join a young explorer, Marcus, as he travels to Rome to track down stolen imperial relics. The emperor has promised the hand of his beautiful daughter as a reward, making Marcus` quest even more important! Search everywhere from the Coliseum to the Forum in Romance in Rome!